Landon, a junior at Burkeville High School, has exceptional work habits and and desire to be the best. At 6'-2" and weighing in as a middle-weight, he has an awesome reach and quick hands. 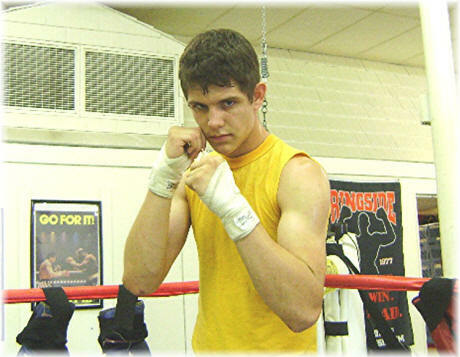 Landon's dedication is second to none and his efforts will be rewarded in the amateur boxing arena. Landon has the agility, footwork and hand speed to wreck havoc on opponents. He is fearless and is acquiring the skills to be a future champion in the Gulf Region. His first sanctioned bout will be scheduled later this summer. Devin, 16, is also a junior at Burkeville High School. He has exceptional reach and weighs in at the welter-weight bracket ... perfect for his 6 foot height. 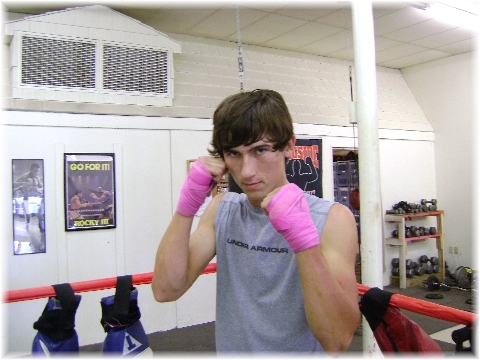 Devin works diligently at the gym and concentrates hard on developing the skills that will take him far in USA Boxing. His footwork reminds the coaches of many successful amateur and professional boxers. He floats in the ring like a natural born boxer and his quick and accurate jab is developing well. Click HERE For Pictures & Video Clip!